DOWNERS GROVE, Ill. (WLS) -- A $1 million bond was set Saturday for a Downers Grove man accused of sexually assaulting a four-year-old girl and attempting to assault two other minors. 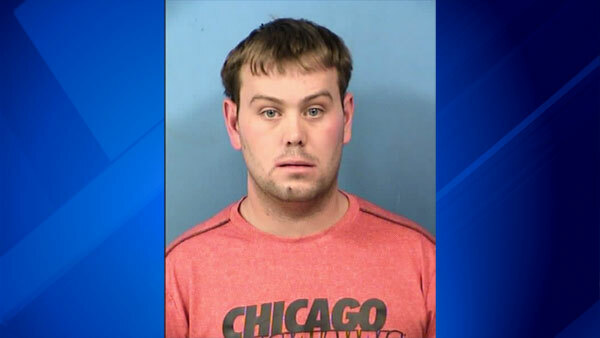 Matthew Schuten, 24, was arrested August 22 after detectives saw him enter the women's restroom at Hummer Park and found him kneeling in a stall to watch a seven-year-old girl use the adjacent toilet, DuPage County Sheriff's Office said in a statement Saturday. An officer was injured in an altercation during Schuten's arrest. In 2012, Downers Grove police were called to the scene of an alleged assault on a four-year-old girl by an unknown man in the women's restroom at Whitlock Park, about a mile from Hummer Park, authorities said. According to police, the man allegedly sexually assaulted the girl after he told her that he was a doctor and wanted to give her a test. Police said the girl told a parent, who reported the incident. Further investigation provided a DNA sample of the alleged suspect, authorities said. Downers Grove police were also called to Hummer Park because an unknown man allegedly looked under a bathroom stall occupied by an eight-year-old girl, police said. Authorities said the man fled the scene when the girl told an adult. If Schuten posts bond, he will not be allowed any contact with minors or to enter any areas with services directed toward children under 18, authorities said. Schuten is scheduled to reappear in court on October 3.